The festival’s motto might be Too much is never enough. Over 500 titles now grace seven venues, if you count the Maggiore, a little piazza featuring carbon-arc projection, and an underground warren i’ll tell you about shortly. The fact that the latter is still under construction didn’t stop the newly established programming team from, of course, showing films there. Those evenings you could have seen Gilda or Raging Bull or Madame de… or an Ingmar Bergman documentary or Sacco and Vanzetti (1971), the last in the presence of director Giuliano Montaldo. On what may be final night (who knows? ), next Sunday, the Piazza hosts a restored version of Grease. Did you know it needed restoration? Me neither. 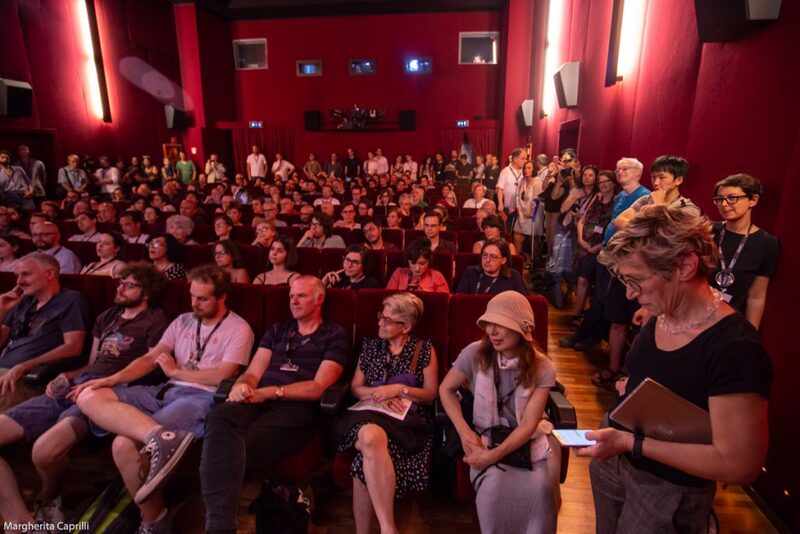 My annual visit to Bologna’s Il Cinema Ritrovato festival – which specialises in rarities, restorations, forgotten fragments and other filmic arcana – usually turns up a few gems, and often provides a welcome opportunity to get better acquainted with the work of a director with whom I was hitherto barely familiar -..-My other focus of exploration was a brief retrospective dedicated to John M Stahl, with the exception of one silent film, the Cineteca Bologna selection curated by Ehsan Khoshbakht concentrated on Stahl’s work in the sound era, though it omitted two of his best known films -..- what I did manage to see persuaded me that Stahl is a fascinating filmmaker well worth devoting some time to. An electrifying Mexican melodrama, Emilio Fernández and his cast and crew at the top of their game. A passionate musical, cabaretera, rumbera. There is true abandon in the singing and dancing numbers, a special fury and uninhibited joy in the performances. A soundtrack album would be worth listening to. At least I’d like to find a soundtrack listing. Miguel Marías in his program note singles out Pedro Vargas and Pérez Prado.